Apparently, Tanaka Reina (a senpai of Kudo (Lupin Yellow) Haruka in Morning Musume.) will have a guest appearance on Ryusoulger. Rejoice! For the rather inconsequential fan fic, The Melancholy of Sougo Tokiwa, has its third chapter, full of groaning one-liners. I wonder if the Tsukuyomi amnesia angle (and her ability to stop time) is related to a scene in the opening credits where she is on a stairway with the timejackers and they disappear and she looks confused. Also can I just say I like the fact that Woz took over the controls just to do his little intro spiel. No matter what, he has to do that spiel. Could be worse. 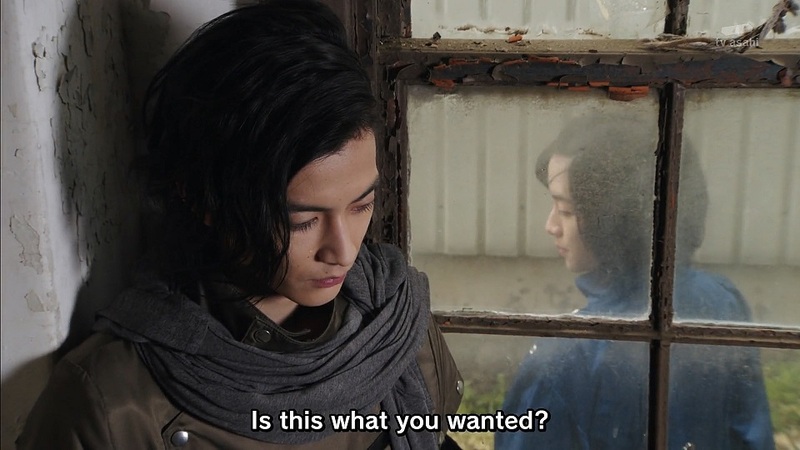 "Kamen Rider Zi-O Trinity ... HAPPY BIRTHDAY!!!!" Is there some sort of deep seated misogyny going on here? Why does pink's strong form of armor include a ball and chain? I think it was about 12 episodes too early to pull out the "we're friends" trope with Pink and Lala. Does pink think she is Hino from OOOs? If the rest of the season is subbed like this it would be worth watching. 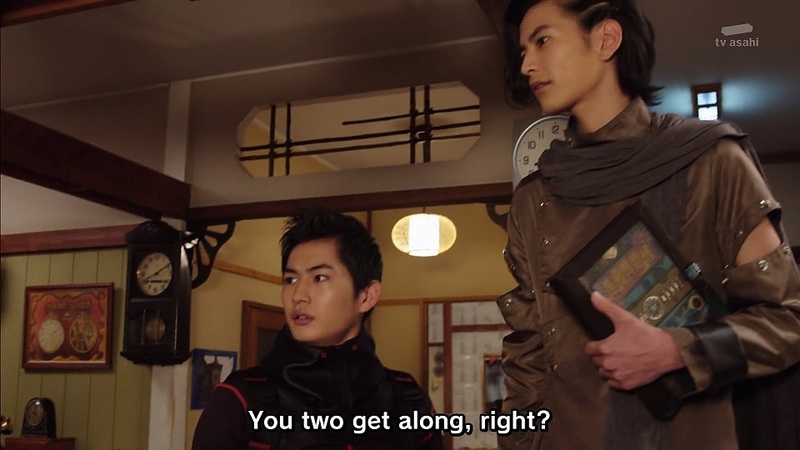 Geiz finds out some of Ora's secrets and engages in combat with Sougo.